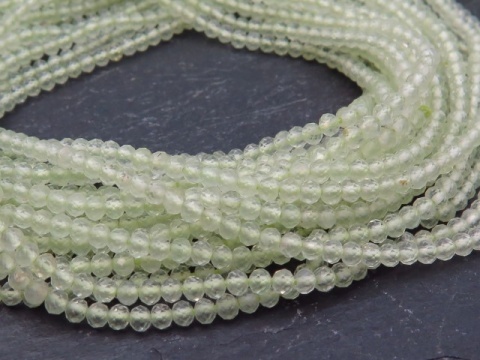 Prehnite is a form of calcium aluminium silicate and is a mineral that occurs in veins and cavities in mafic volcanic rocks. It is semi-transparent to translucent with pale green to yellowish green colouring. It is not normally treated. Hardness: 6-6.5 (Mohs).